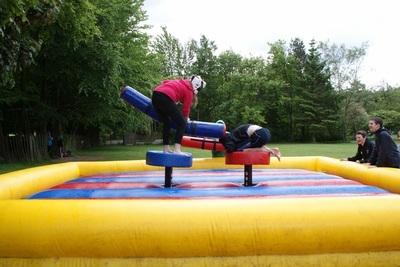 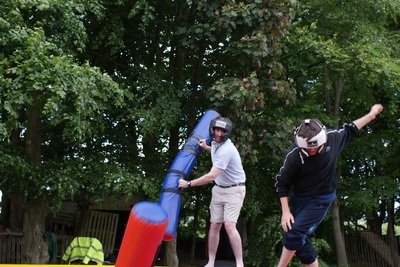 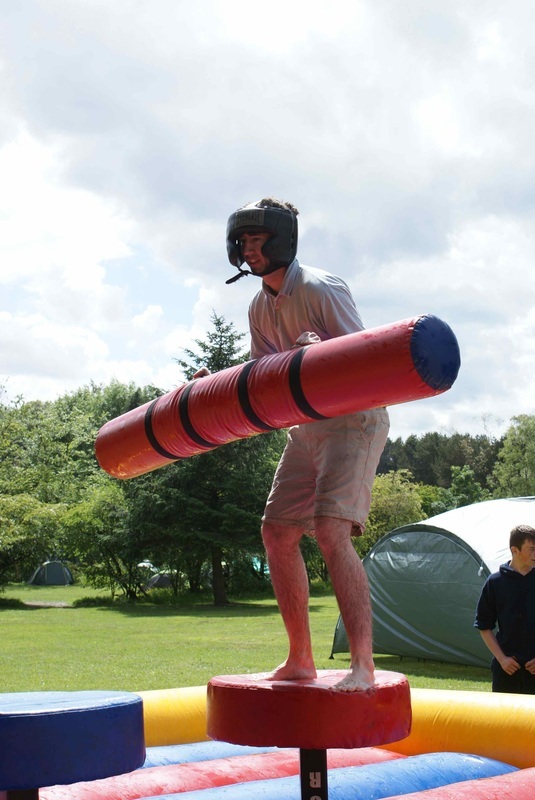 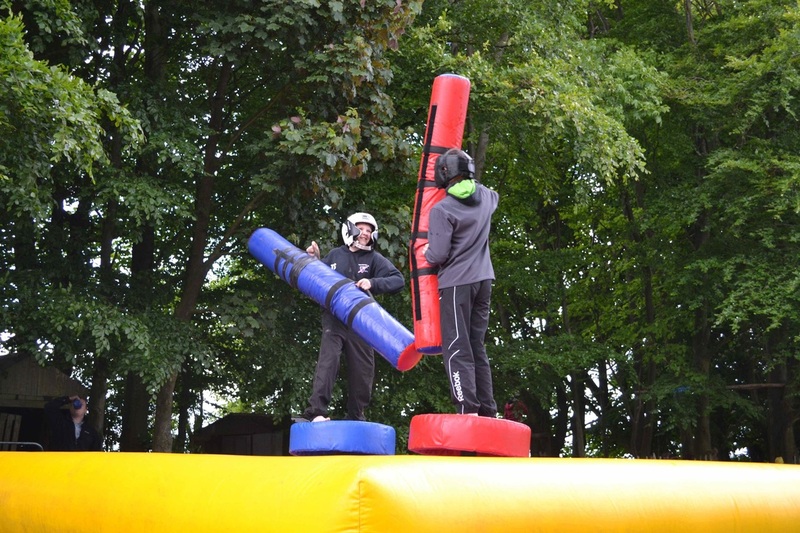 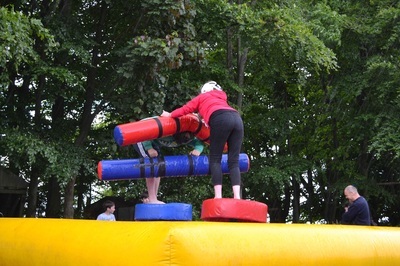 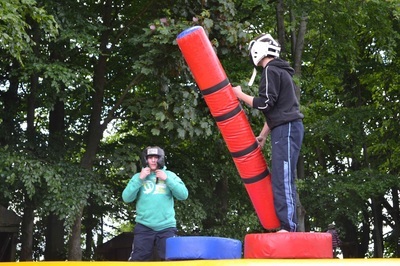 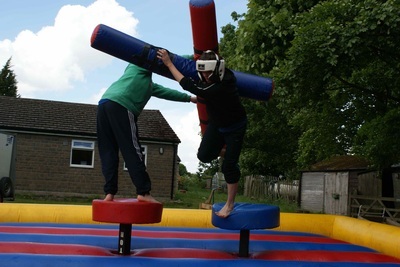 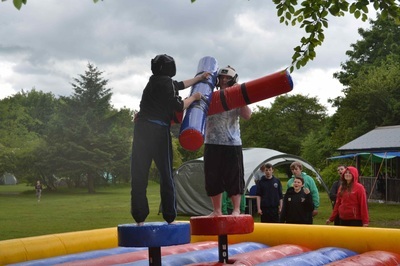 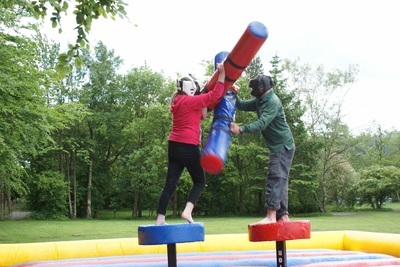 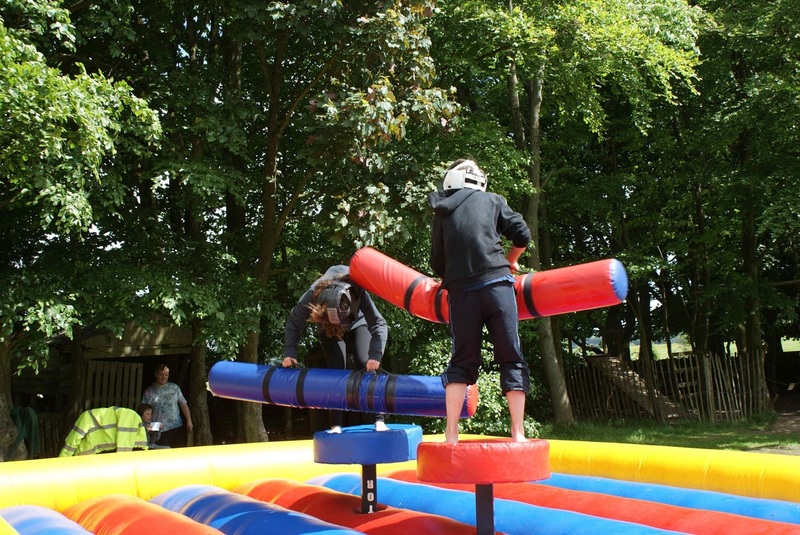 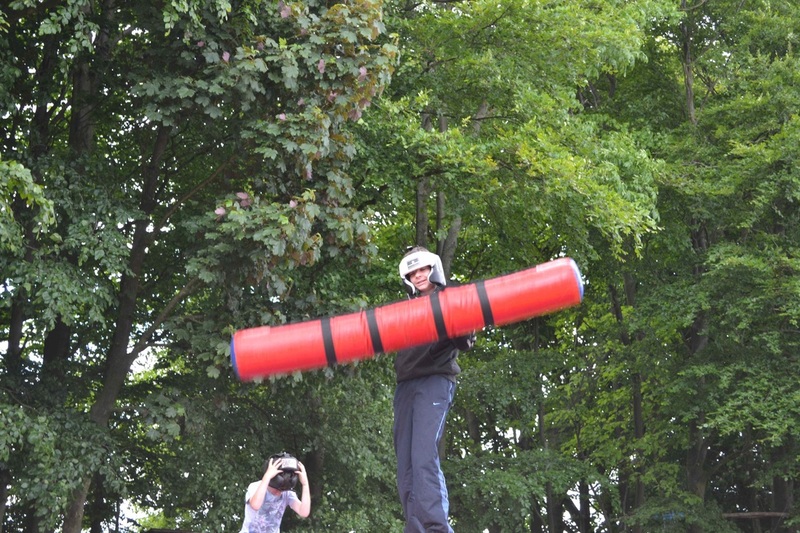 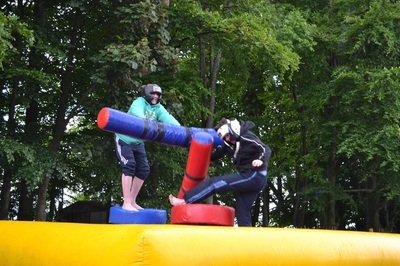 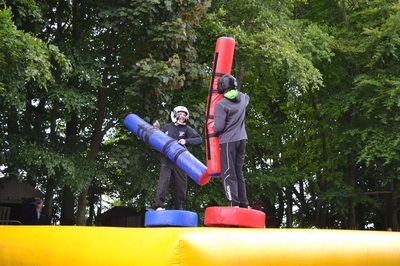 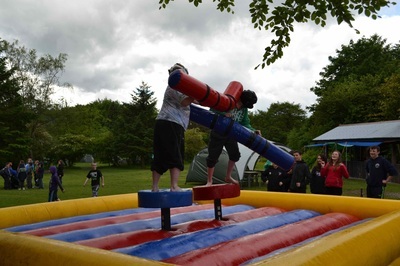 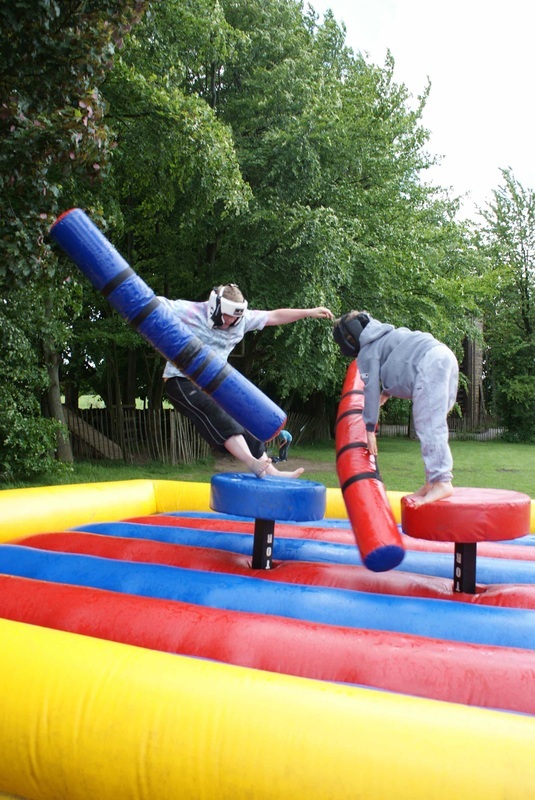 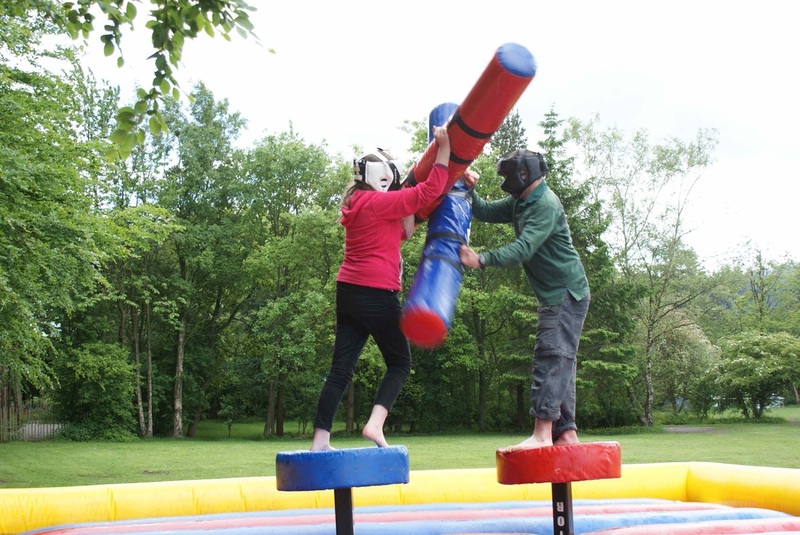 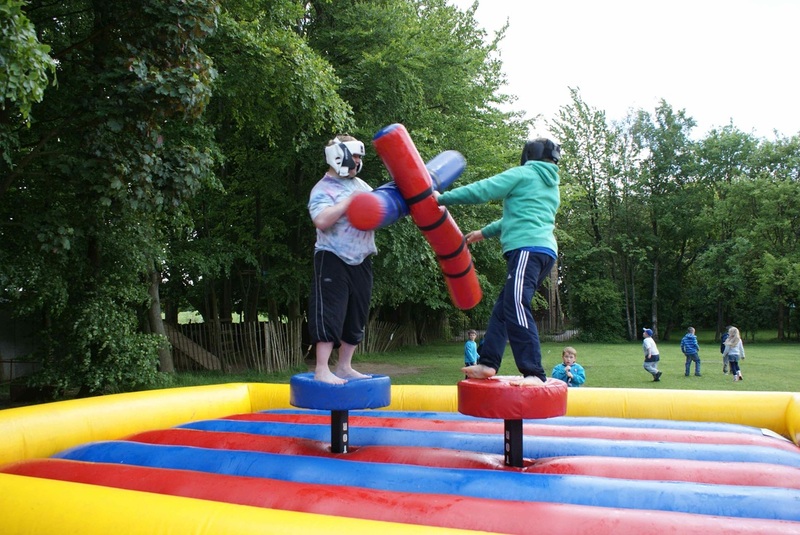 Bramhope 2013 archery and inflatable gladiator duelling. 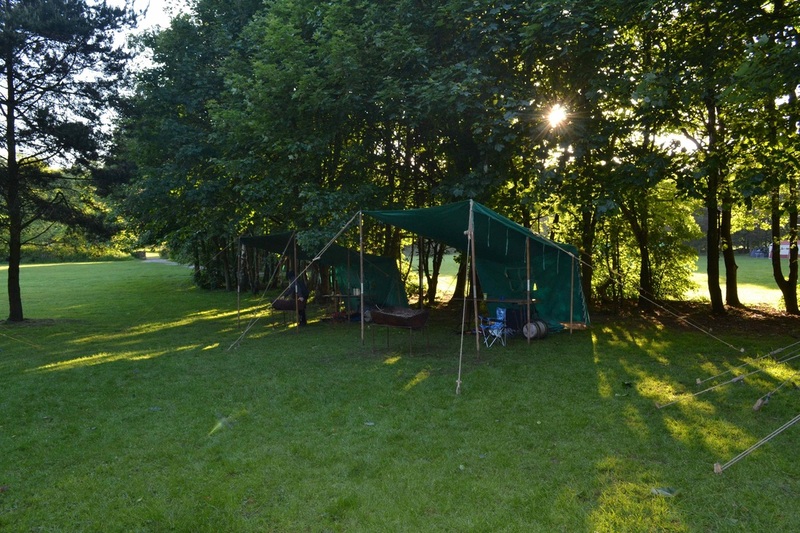 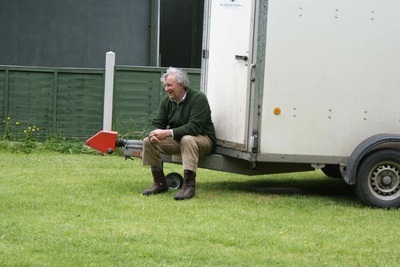 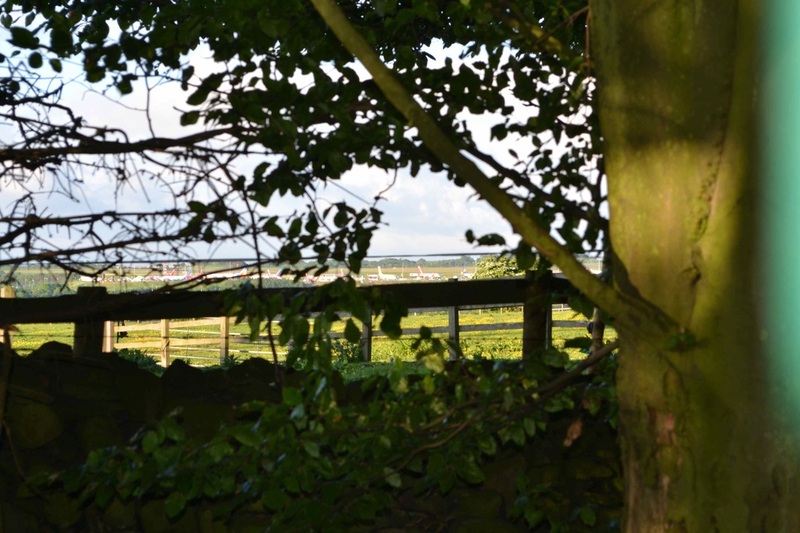 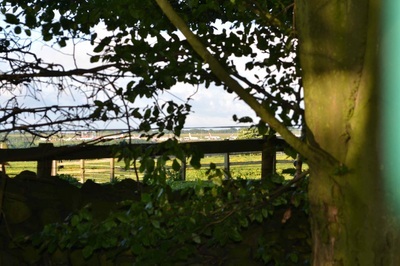 This is the first time we have camped at Bramhope and we found it to be a great place to stay. 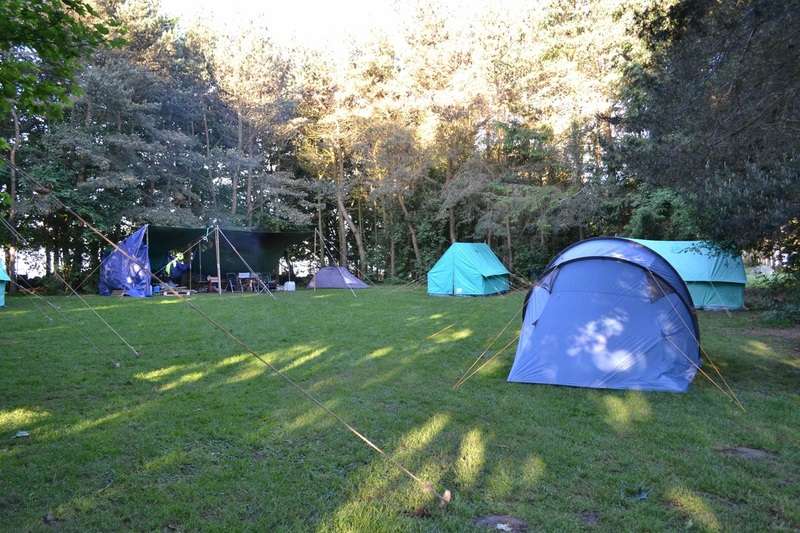 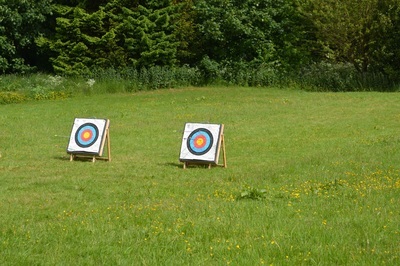 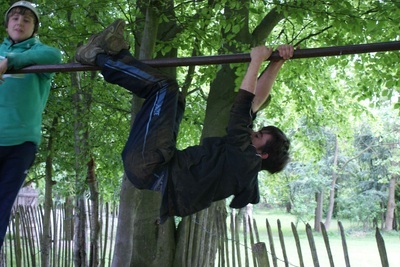 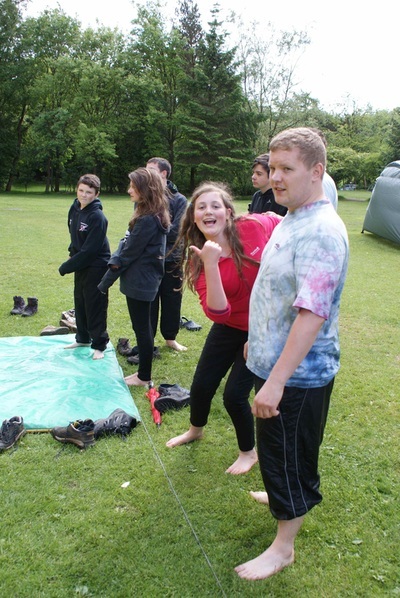 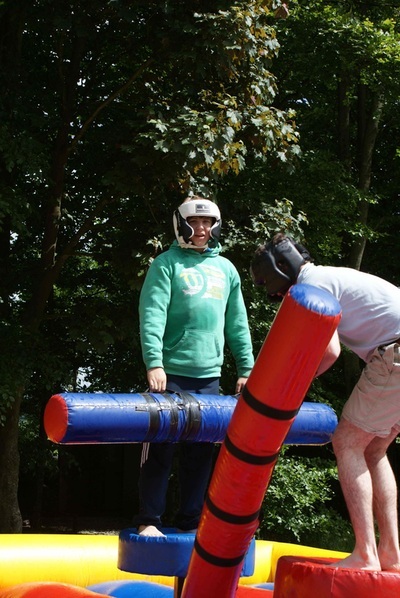 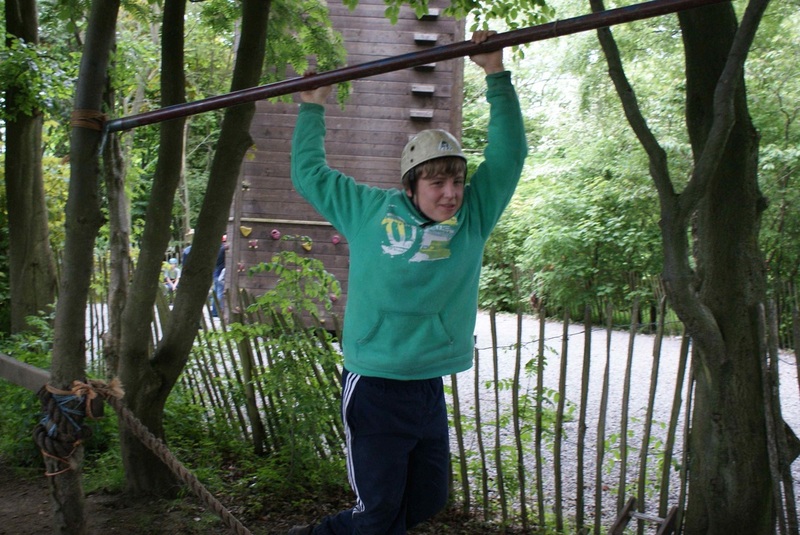 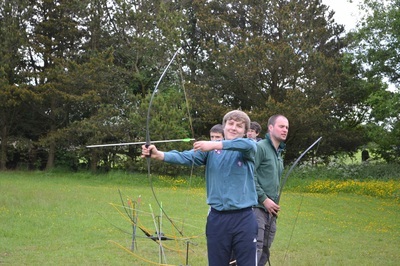 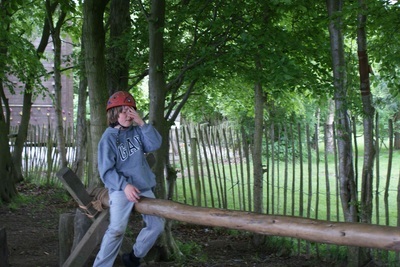 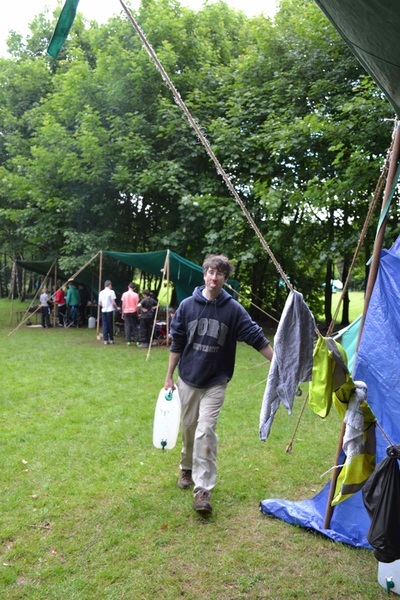 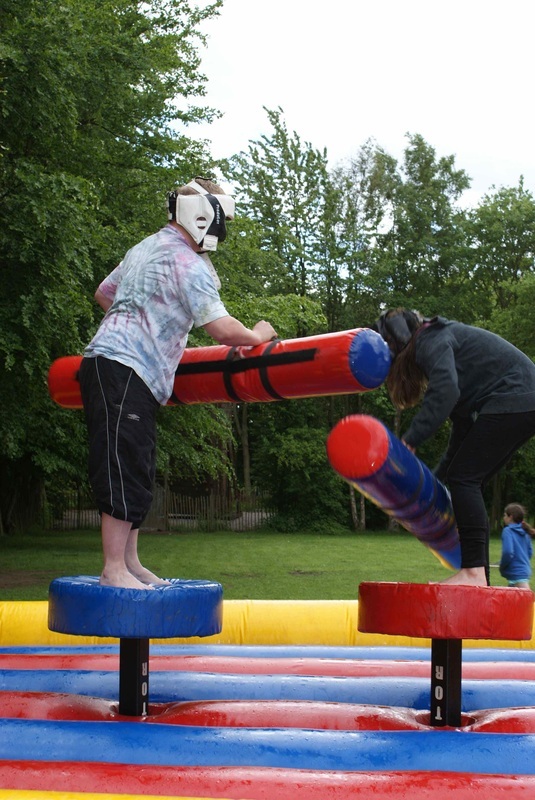 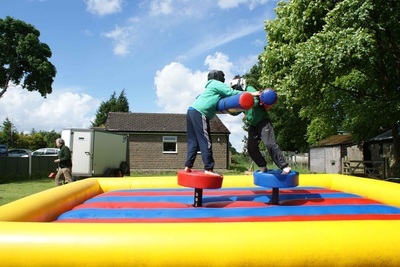 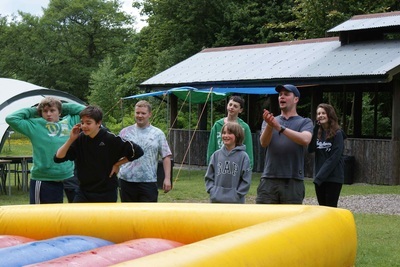 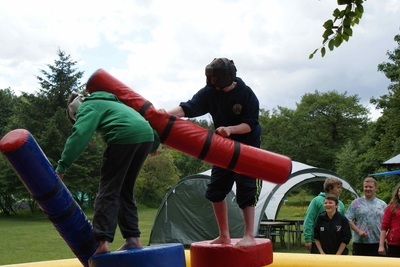 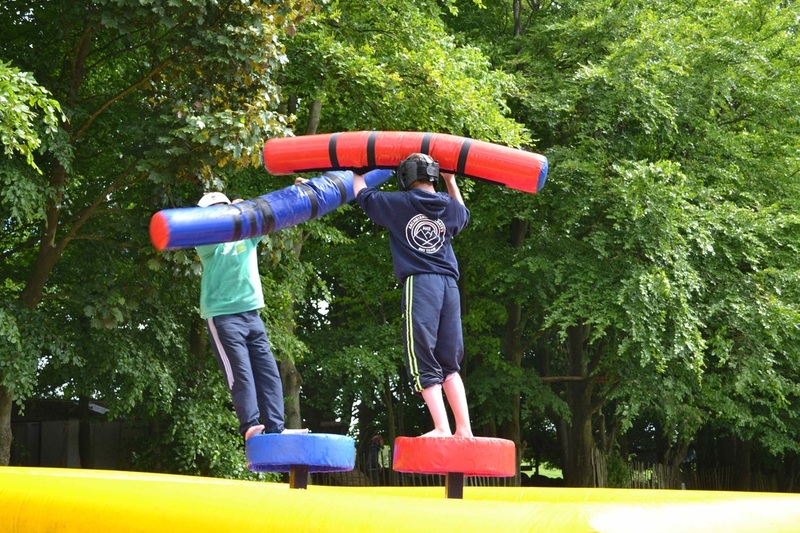 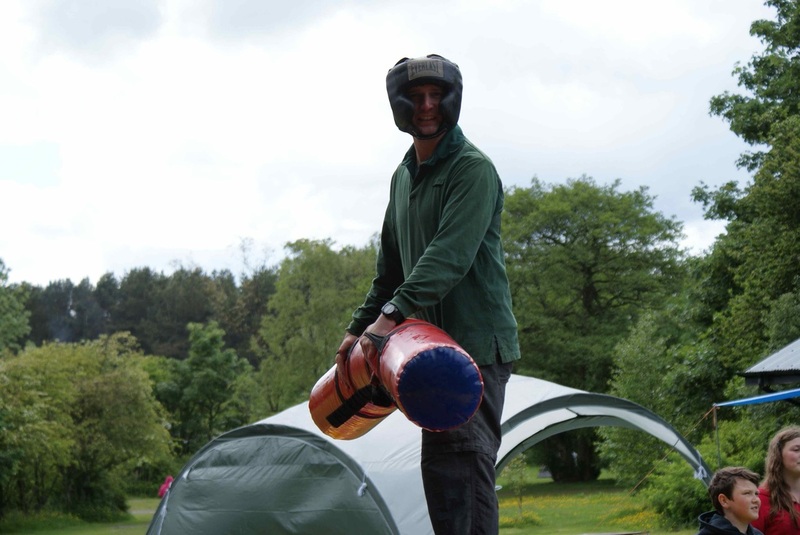 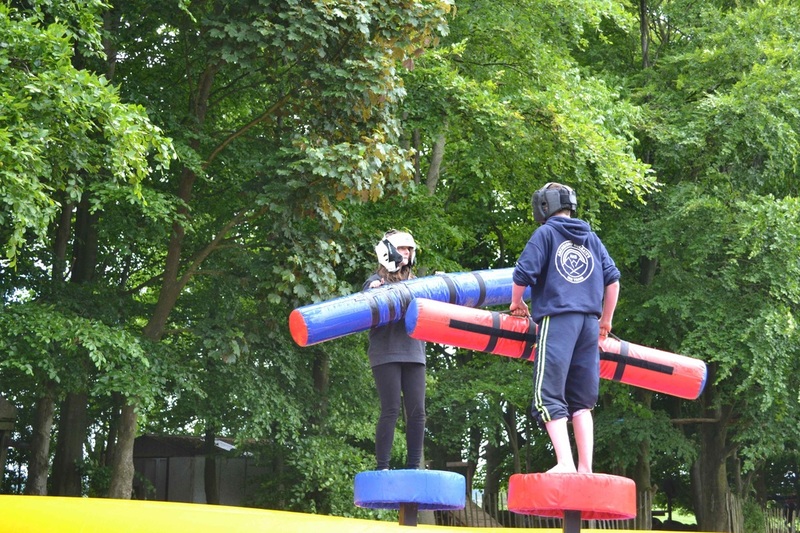 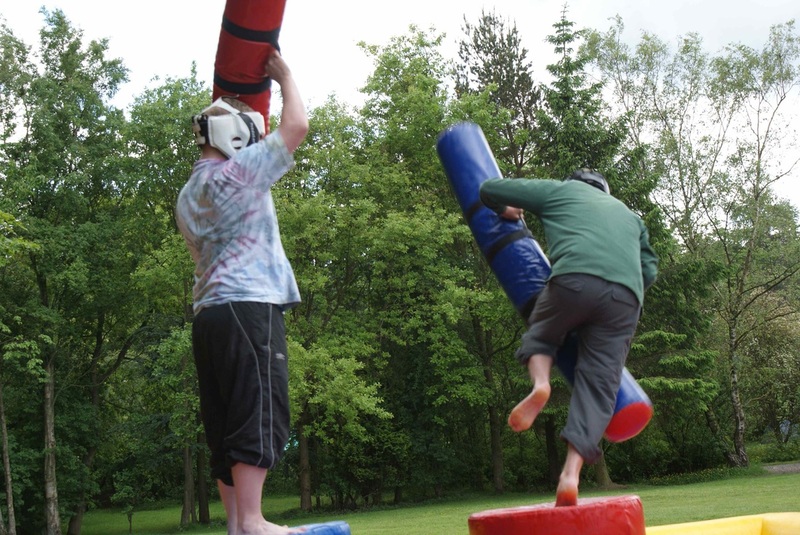 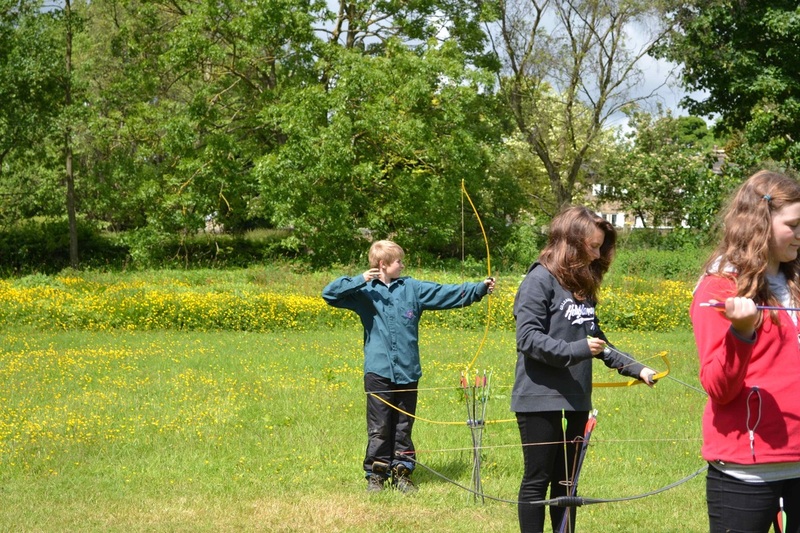 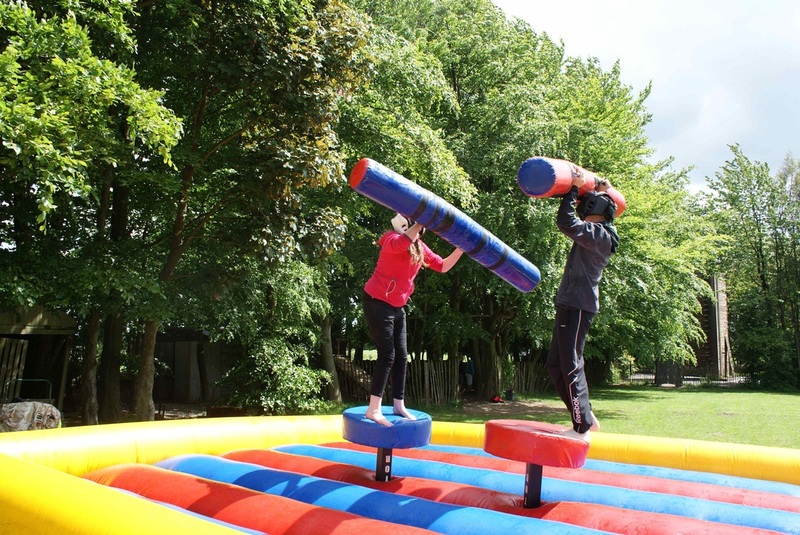 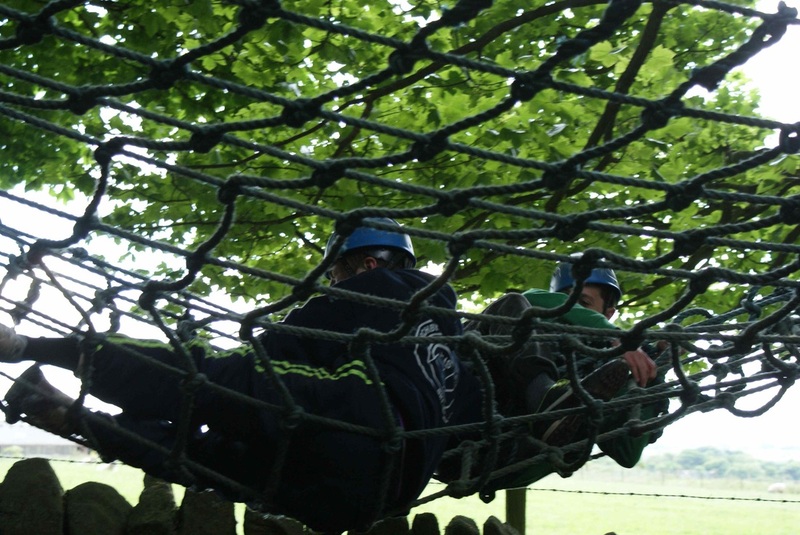 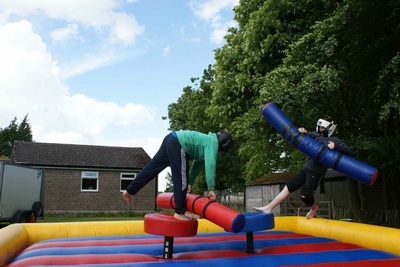 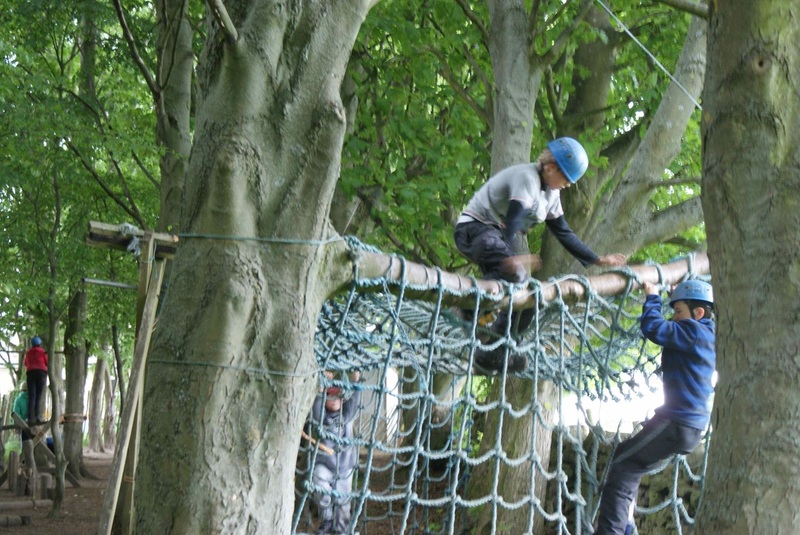 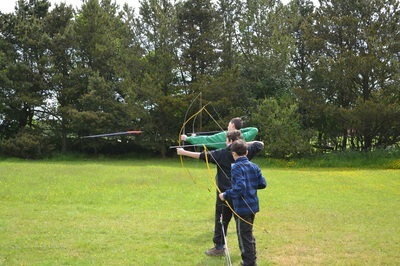 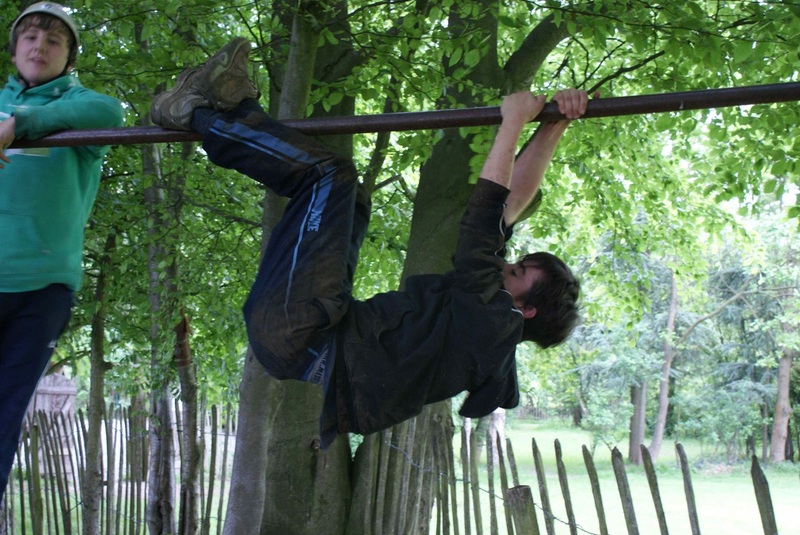 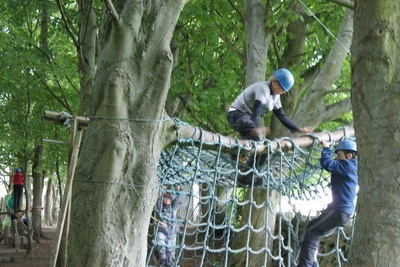 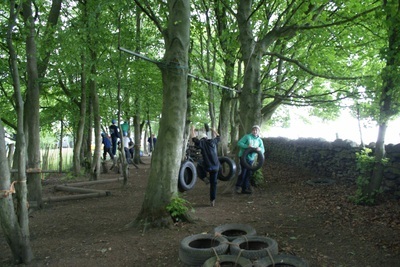 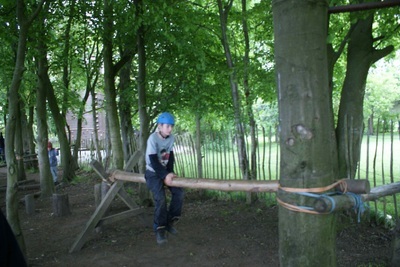 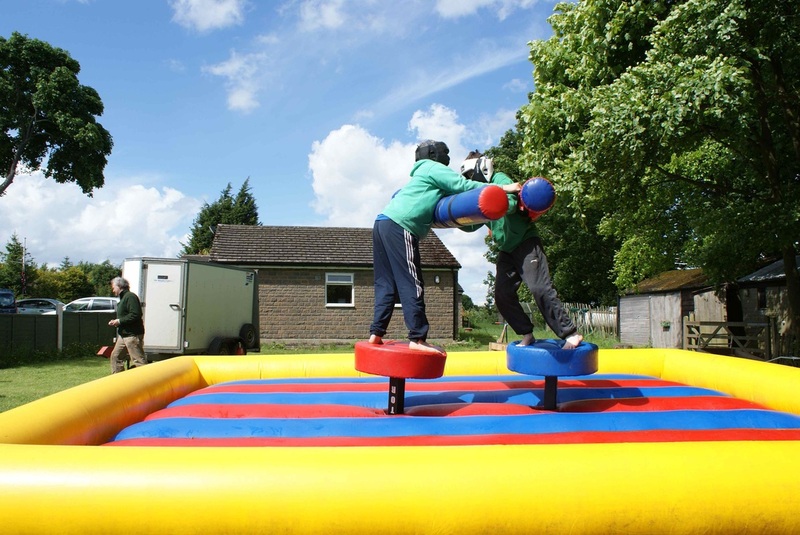 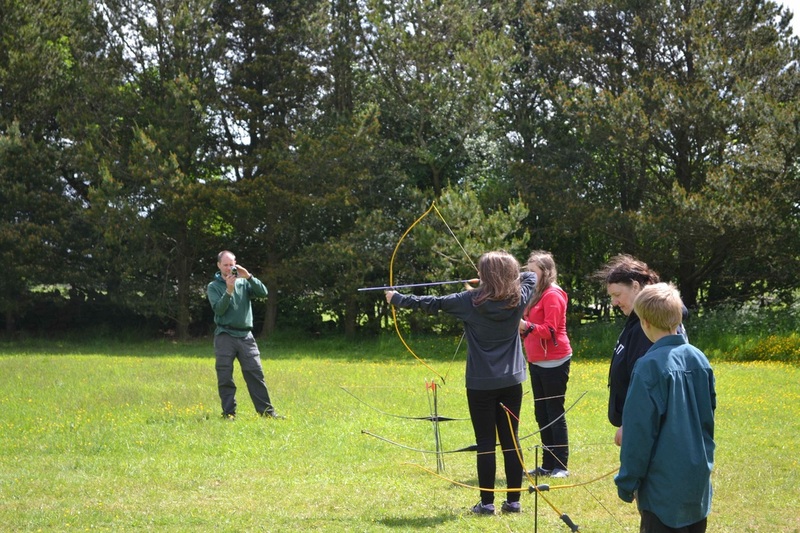 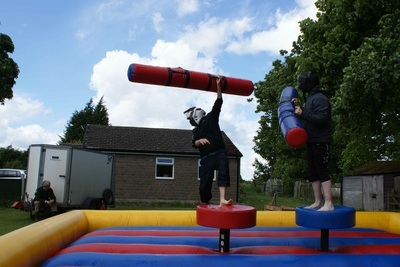 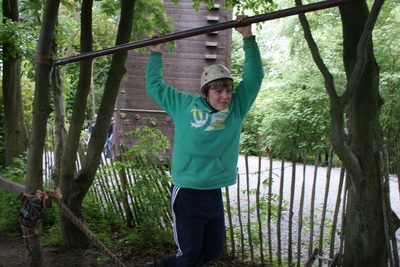 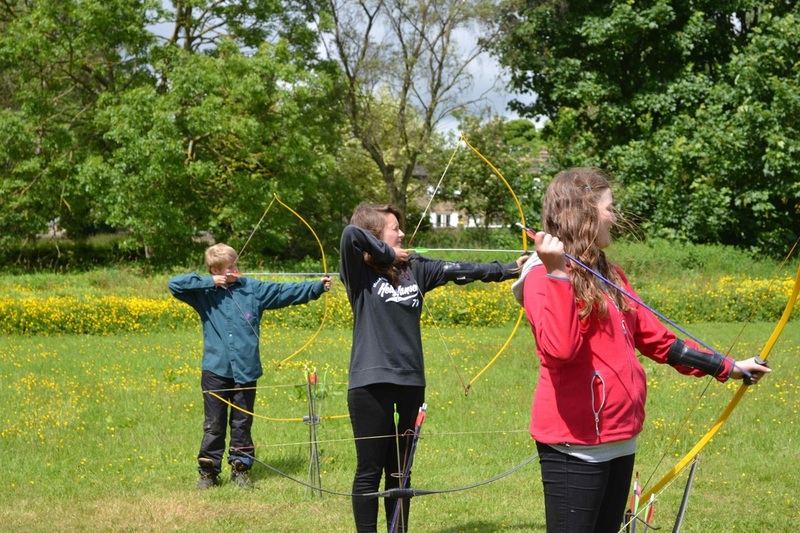 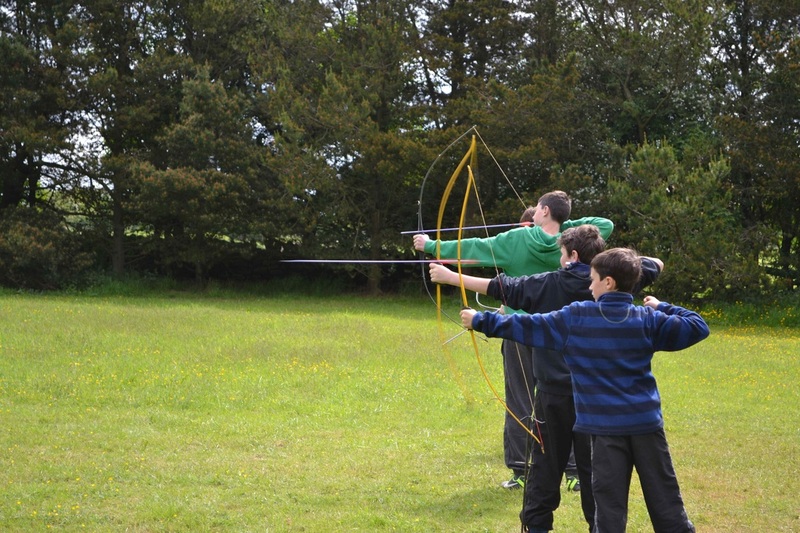 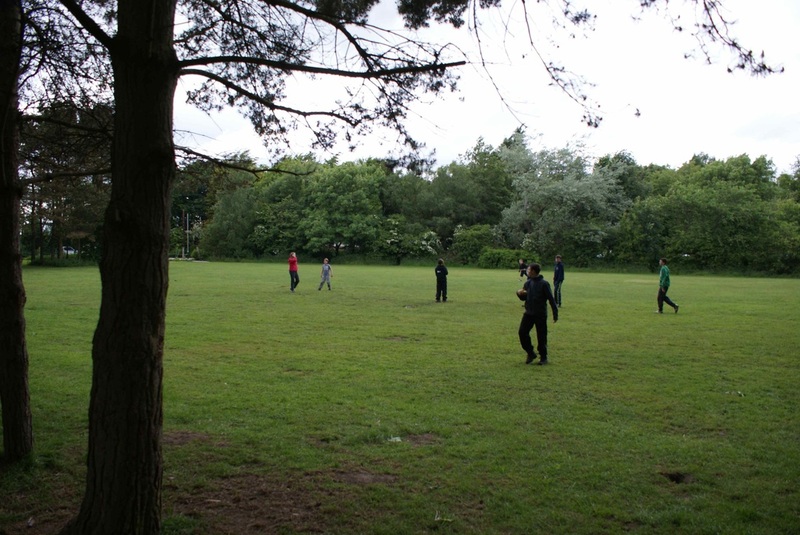 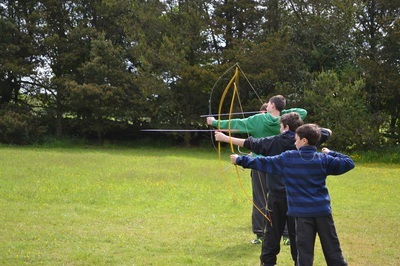 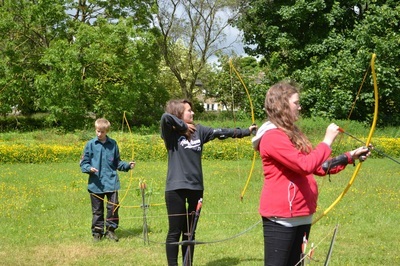 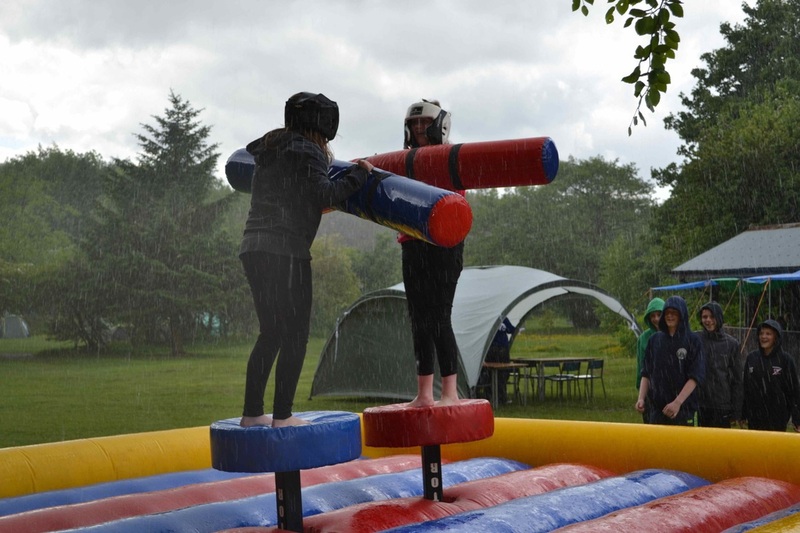 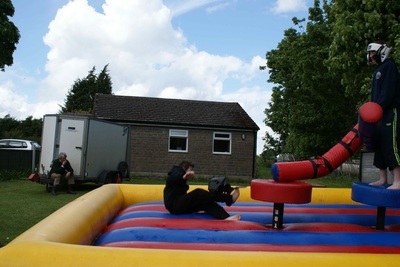 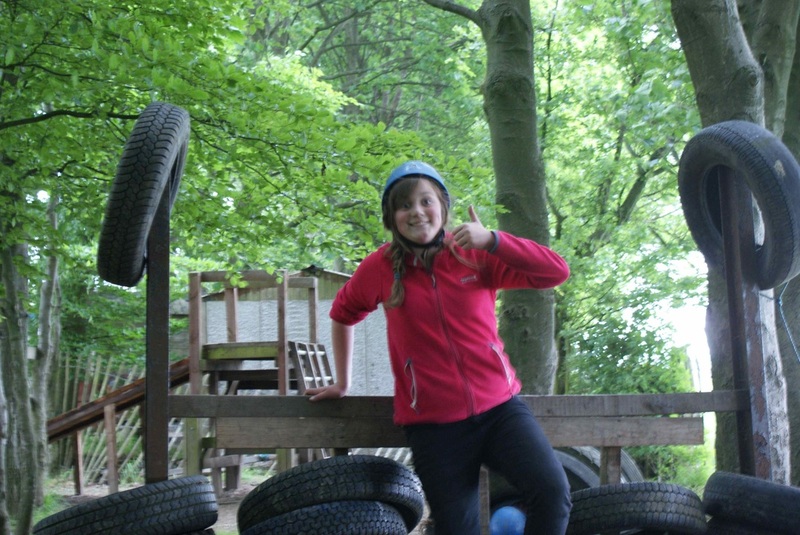 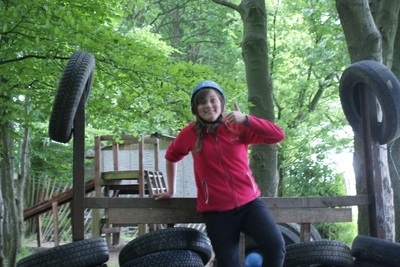 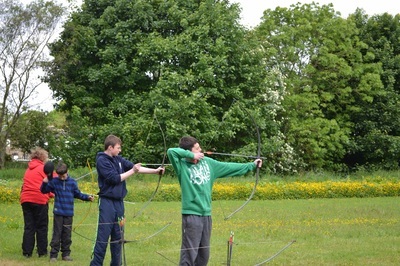 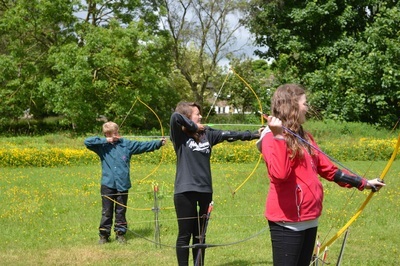 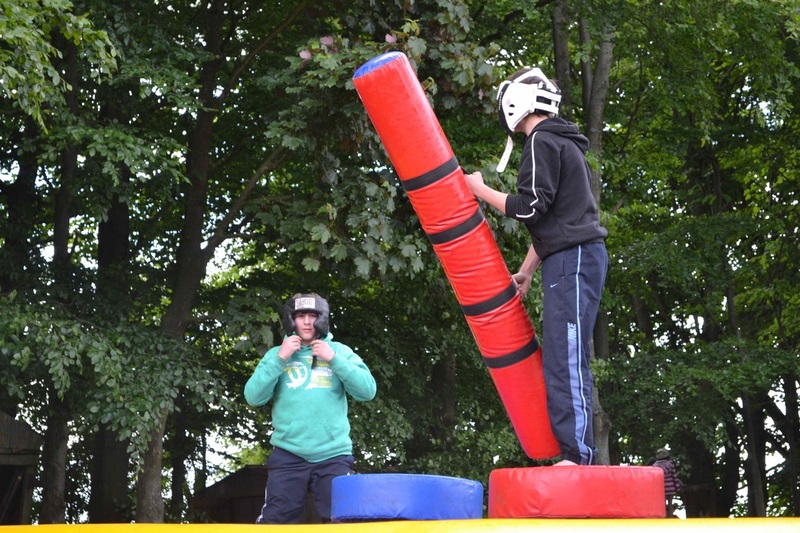 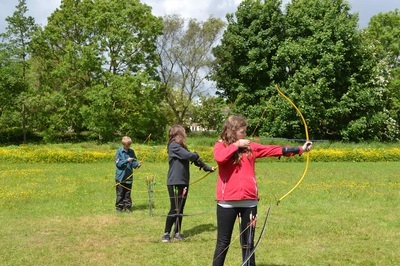 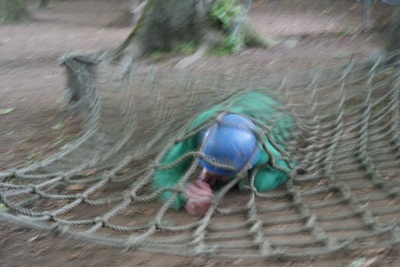 We had archery and inflatables booked as onsite activities but we also made use of the assault course and free treasure hunt. After spending Saturday trying our hand at archery and beating each other with big inflatable sticks its fair to say everyone was ready for tea. 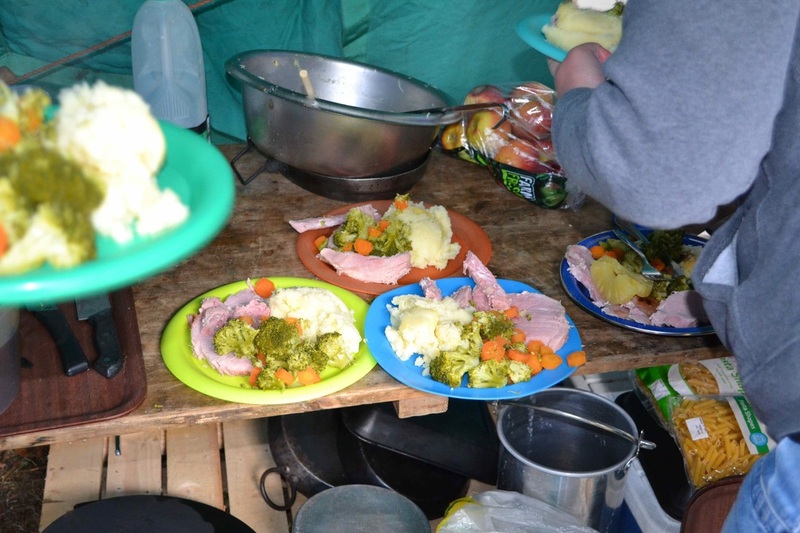 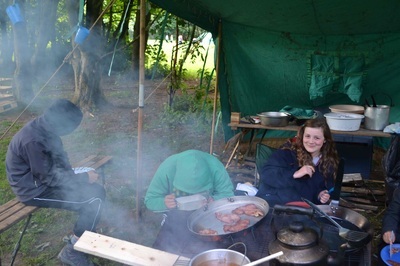 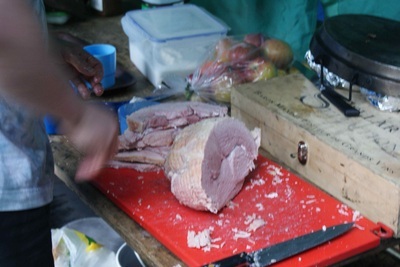 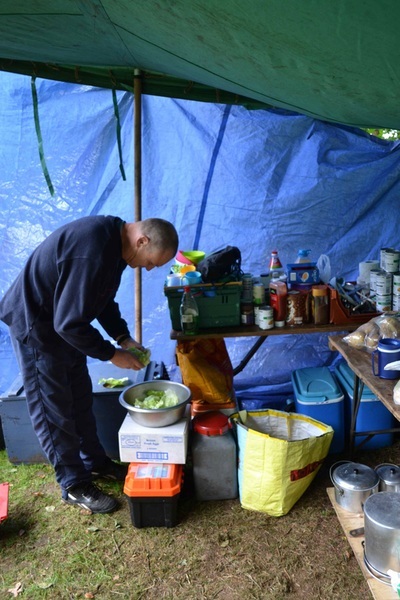 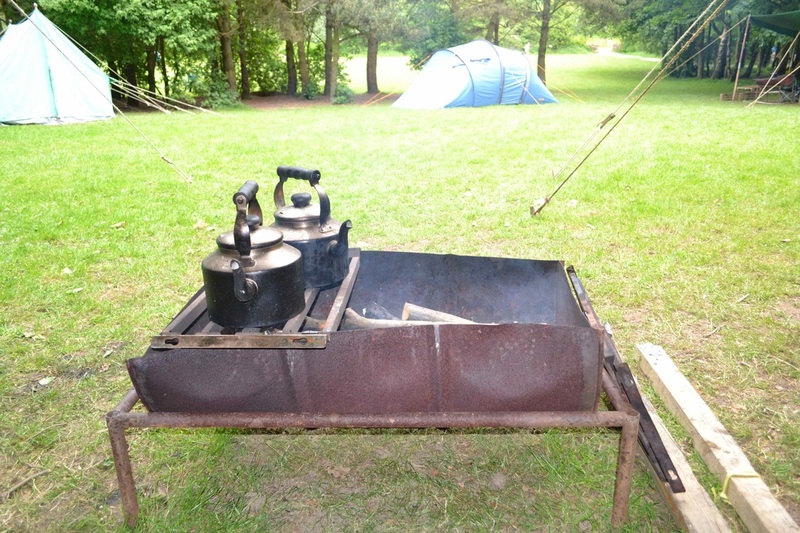 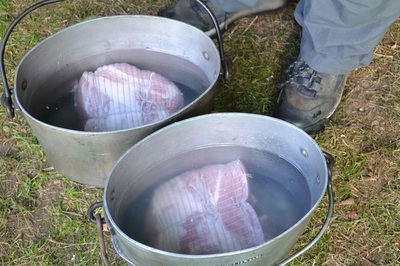 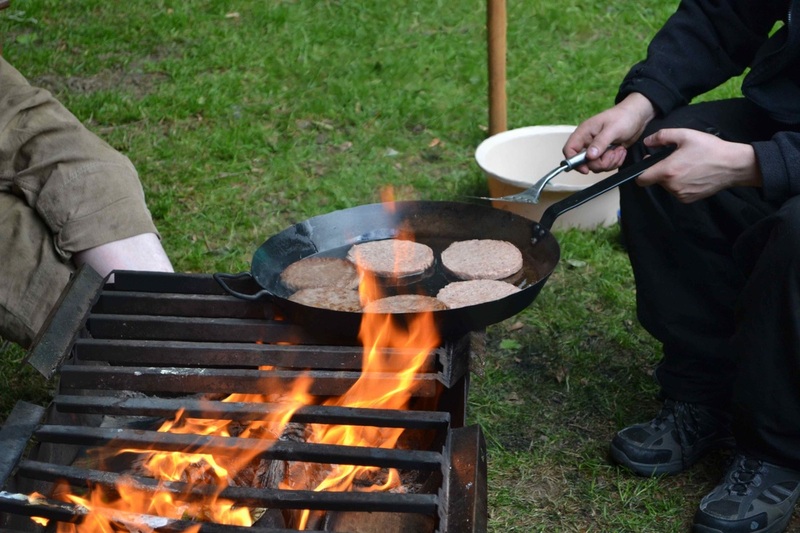 Which for a change had been prepared and cooked by the leaders, this on its own is a treat for the scouts, I think we made a good meal consisting of Gammon Mash and veg. 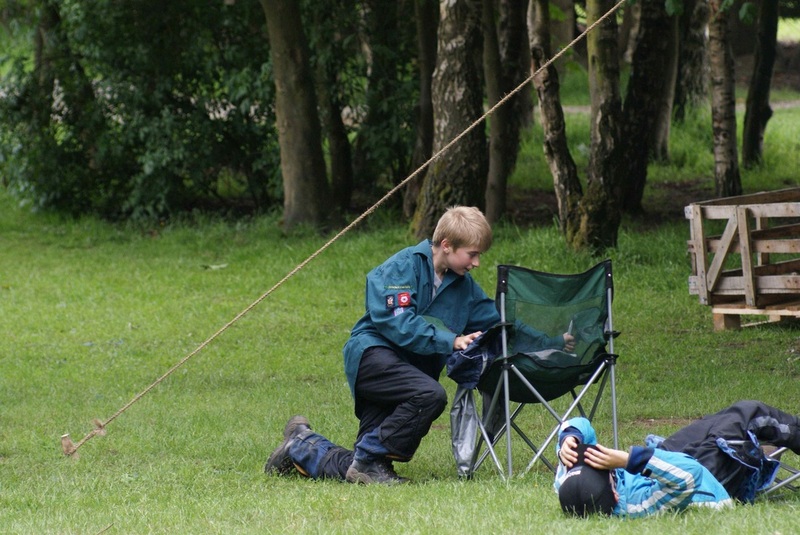 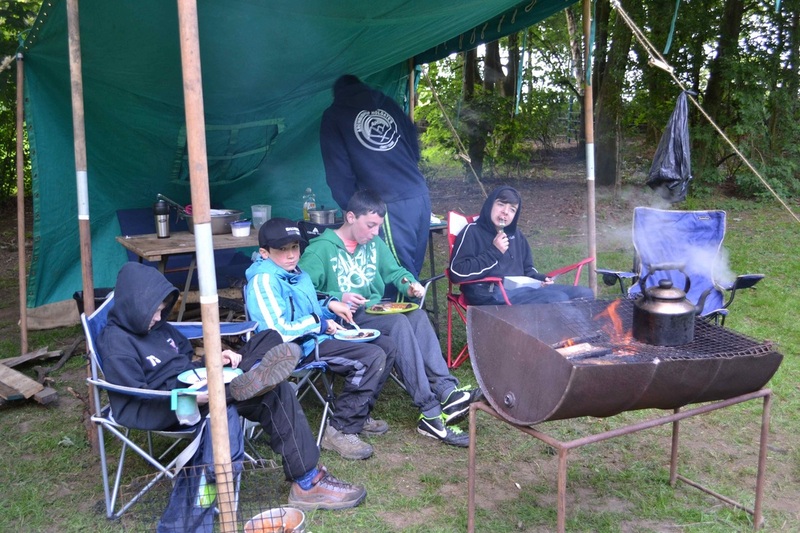 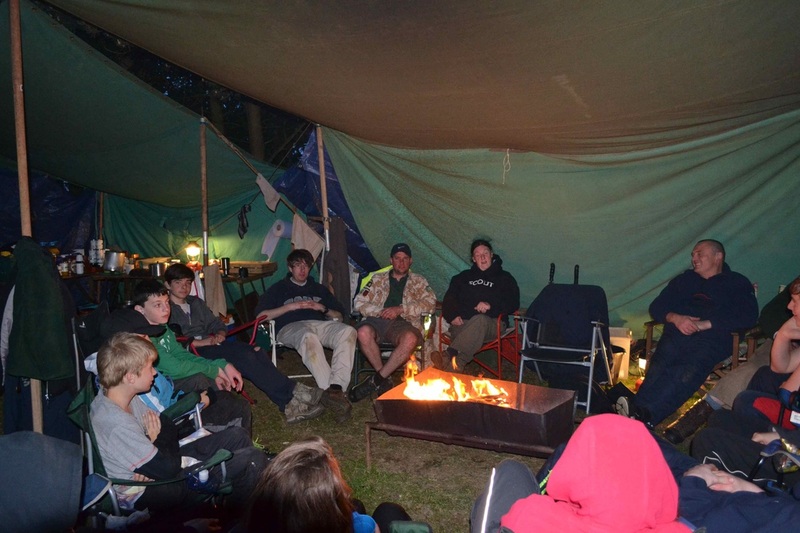 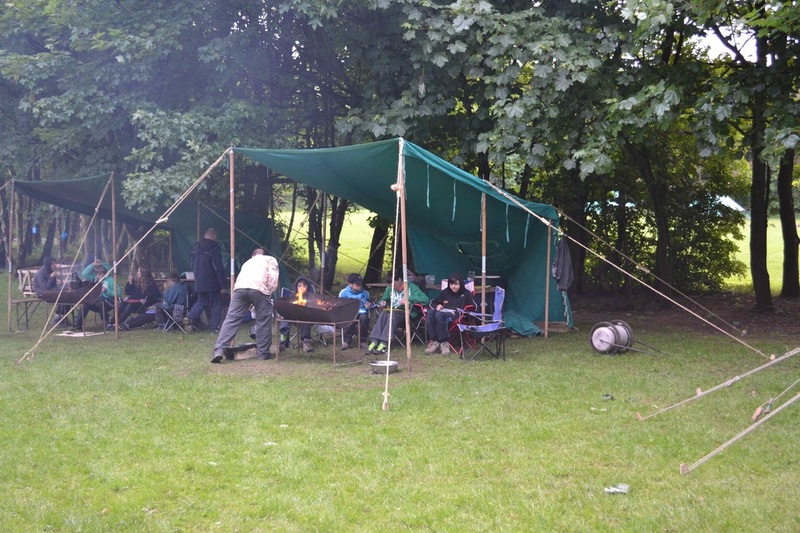 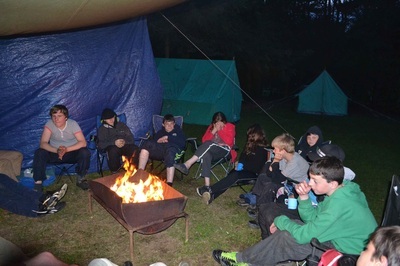 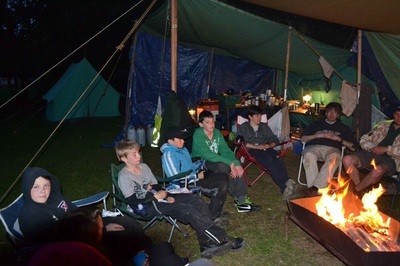 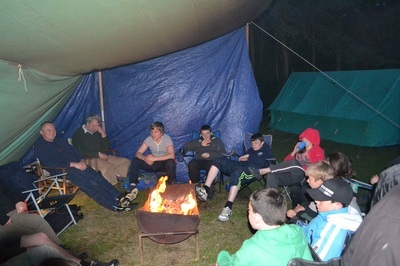 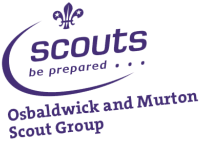 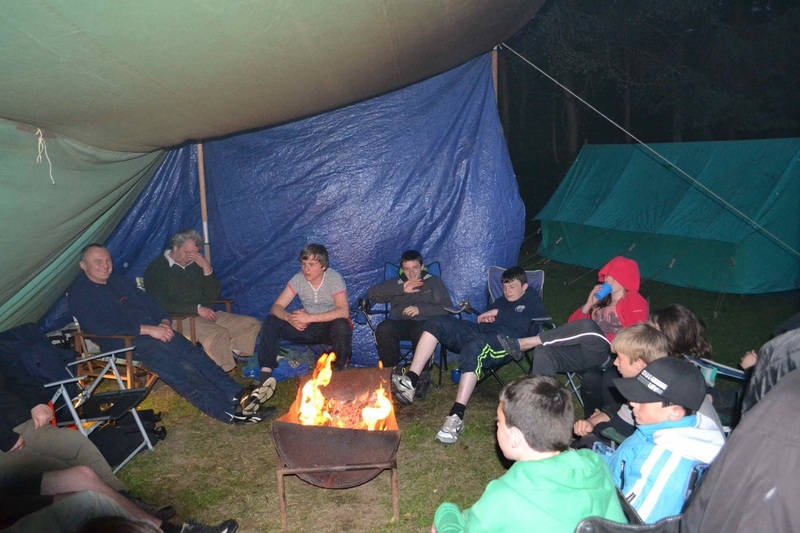 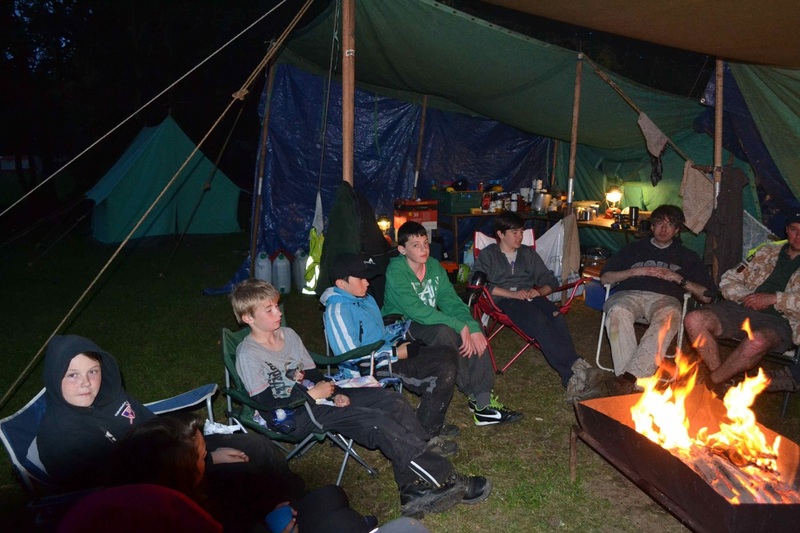 We hoped that after all this excitement the scouts would be ready to rest and sleep but this did not happen, once tea had settled they had enough energy to play a wide game. 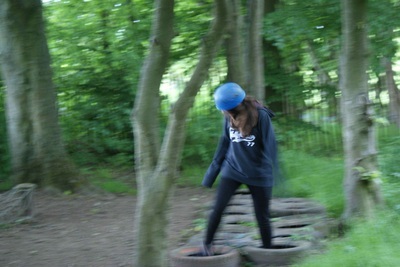 So we went into Chevin forest and had a game of kick the can. The leaders also won this game. 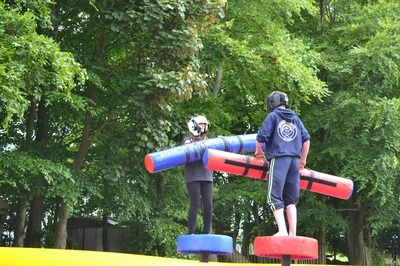 All in all this was a fantastic weekend.